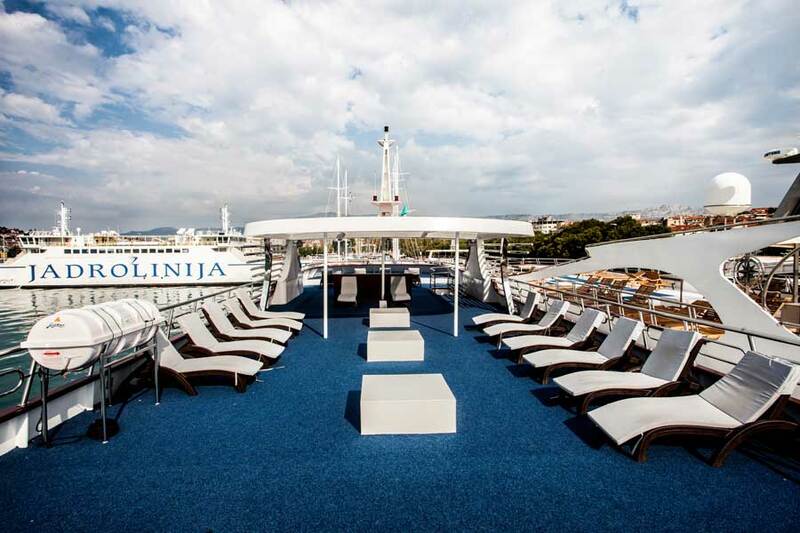 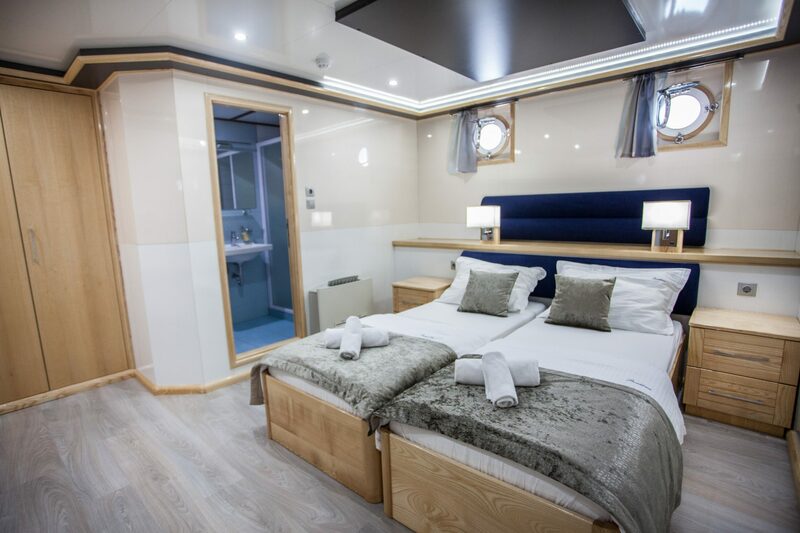 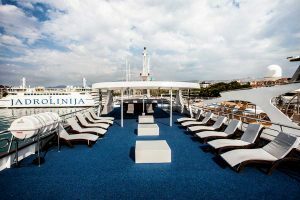 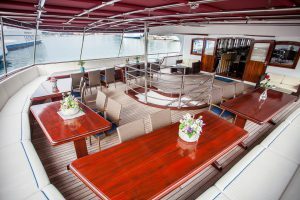 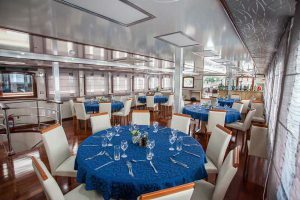 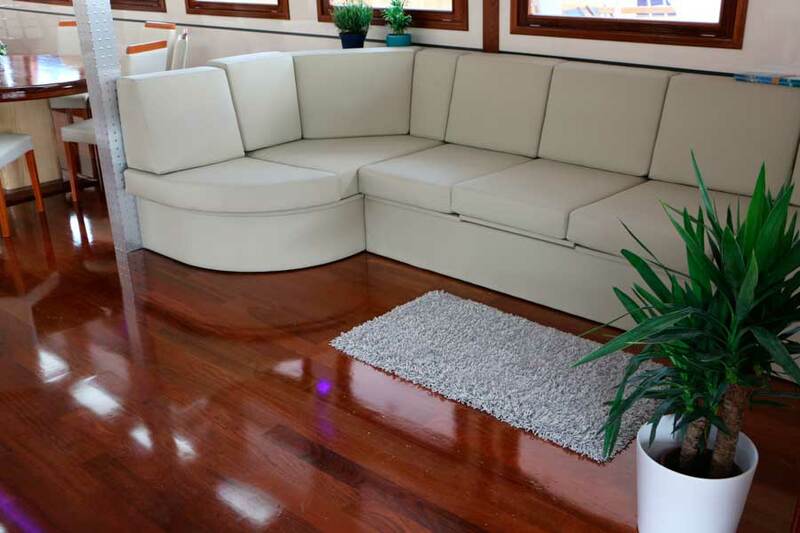 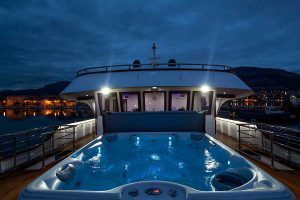 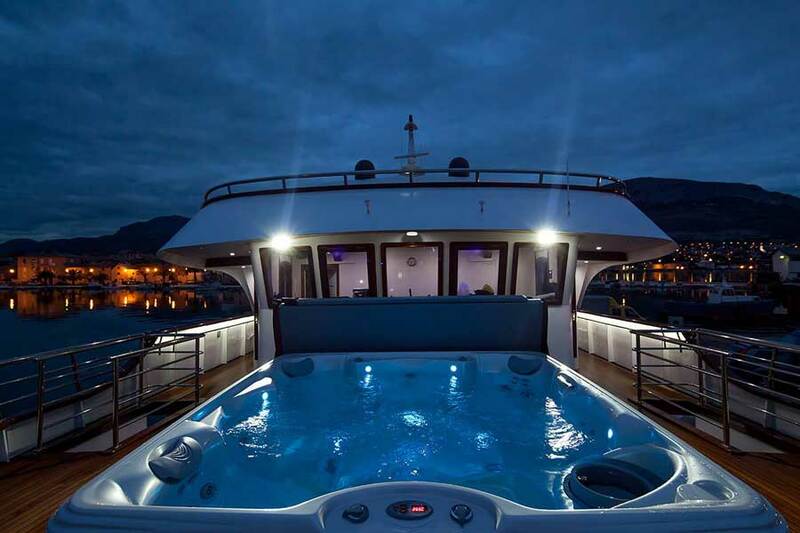 Newly built in 2014 and fully refurbished in 2018, this stylish ship caters for just 36 passengers, offering an intimate atmosphere whilst exploring the beauty of the Croatian islands. Amenities include an outdoor eating area, indoor open-plan dining room, bar, top deck Jacuzzi and several seating areas. 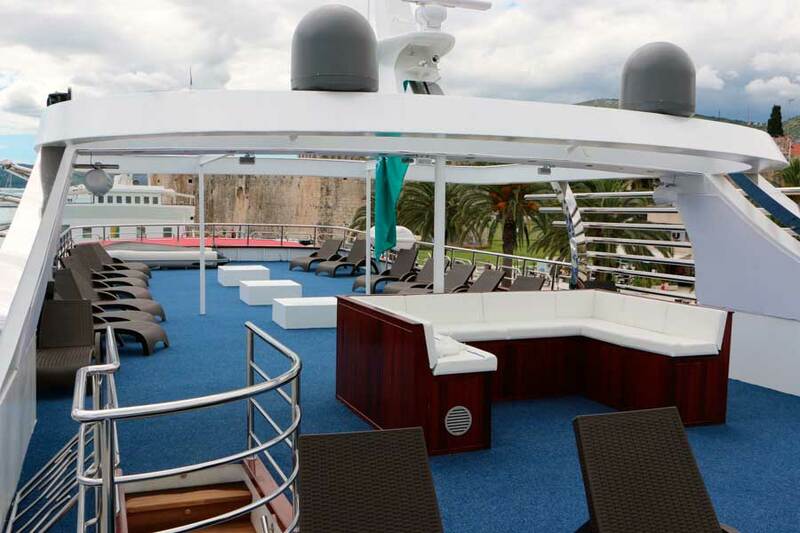 The free bar, open 11 hours a day from 11am-10pm, serves local alcoholic and non-alcoholic drinks. 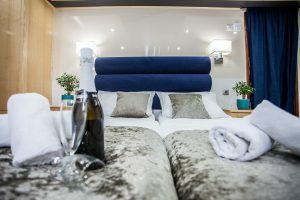 All modern air-conditioned cabins are located on the upper, main and lower decks and have a safe, hairdryer and en suite bathroom with a shower cubicle, WC and a wash basin.